India has offered least tariff concessions to Chinese goods under the proposed free trade agreement between 16 Asia-Pacific countries including China and Australia. 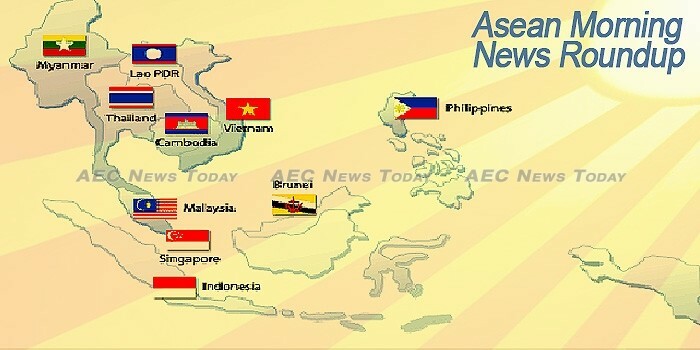 Economic ministers and senior trade officials of 10 member states of ASEAN are now in Manila for the 23rd ASEAN Economic Ministers’ (AEM) Retreat and Related Meetings from March 8 to 10. Is Indonesia Choosing the Indian Ocean Rim Association Over ASEAN? From March 5 to 7, Jakarta played host to the leader’s summit of the Indian Ocean Rim Association (IORA), which was also commemorating its 20th anniversary. Given the chance to lead the summit, Indonesia has pursued significant initiatives, including the enactment of the IORA Concord, or so-called Jakarta Concord. Asean’s success in ensuring peace and economic and socio-political progress in the world’s most diverse region should merit a Nobel Peace Prize as it marks its 50th anniversary this year, according to a new book. European Union (EU) Trade Commissioner Cecilia Malmström is set to visit Manila on Friday for the 15th ASEAN Economic Ministers – European Union Trade Consultations, to primarily discuss trade relations as well as the goal of a Free Trade Agreement with her ASEAN counterparts. Cambodia will host the World Economic Forum on Asean for the first time in its capital city Phnom Penh on May 10-12, where 700 business leaders from various sectors are expected to fly in. At first glance, 22-year-old Sokha Chan might seem like your average young California girl. She has a lap dog named Chica, and her own car that she bought herself. Cambodian airlines trying to grow and capture a slice of the more promising Chinese market will face stern competition from more-established international carriers, while new startups could struggle to gain a foothold in the Kingdom’s relatively small market, according to new research by the Centre for Aviation (CAPA). Phnom Penh Autonomous Port (PPAP) will distribute a cash dividend of 1,059,039,488 riel ($261,148), or 256 riel per share, to its private shareholders for its 2016 operations, the port operator said in a filing to the Cambodian Securities Exchange (CSX). Prime Minister Hun Sen on Tuesday defended the nation’s drinking culture, arguing that consuming alcohol was not unique to the current generation or the country, while also advising citizens not to drink and drive. South Korea will manage the replanting of trees on former economic land concessions—with an eye toward eventually entering Cambodia’s logging industry—under a tentative agreement between the two countries, Agriculture Minister Veng Sakhon said on Wednesday. As part of an ongoing Japan-funded project to reduce congestion in the capital’s clogged streets, City Hall turned on three new traffic lights on Wednesday in Phnom Penh—with two more set to follow today. Thailand’s seafood industry has supplied the global market with about $7 billion dollars annually. Half of that is shrimp products destined for supermarkets in the US, Europe, and Japan. South Korea’s state-run deposit insurer said Thursday it has opened a branch office in Phnom Penh, Cambodia, to help recover local property assets once owned by bankrupt Korean savings banks. Cambodian politician and activist Mu Sochua made her name in the 1990s as a founder of Khemara, the country’s first organisation dedicated to advocating on behalf of women. By dismissing the case against Im Chaem, Cambodia’s government has shown that it is willing to draw a line that international justice cannot cross when it comes to making former high-ranking members of the Khmer Rouge accountable for their past crimes. Air France Industries KLM Engineering & Maintenance has signed a memorandum of understanding with Cambodia Angkor Air (CAA) to service its fleet of A320s, according to a recent press release. Finish energy consulting firm Pöyry Global has secured an engineer services contract from Cambodian Energy II Co Ltd (CEL2) for its new 150-megawatt coal-fired plant, the company said yesterday in a press release. For the ruling CPP, the promise was to appoint a woman as governor for one of the country’s 25 provinces. For the opposition CNRP, its boast was having 60 female commune chief candidates—up from fewer than 10—to run in Cambodia’s 1,646 communes for this year’s elections. A Vietnamese court has sentenced a Cambodian police officer to 25 years in prison for killing a local gold shop owner and injuring another in the Mekong Delta province of An Giang in 2016. Australian buffalo have been exported to Indonesia for the first time in more than three years, a move that has been welcomed by industry. The latest survey of Berlin-based Transparency International confirms that Indonesia’s House of Representatives (DPR) is perceived – among Indonesians – as the most corrupt institution in the country. Organisers of Indonesia’s 2018 Asian Games insisted Wednesday preparations were on track after the build-up was hit by corruption allegations and concerns about faltering organisation. The Ministry of Energy and Mineral Resources of the Republic of Indonesia (MEMR) recently issued MEMR Regulation No. 11 of 2017 on the Utilisation of Natural Gas for Power Generation (Regulation 11/2017). Indonesian lender BRI Agroniaga is planning to raise Rp 1 trillion ($75 million) via a rights issue to strengthen capital structure. Figures released by the Ministry of Tourism for the Republic of Indonesia have shown an impressive 17.37% increase in visitor arrivals from the United Kingdom, year on year. The Development Bank of Singapore (DBS) plans to introduce a smartphone-based mobile banking option for the Indonesian market as a way to further digitalize the banks’ operations and utilize digital innovation to its advantage. Small and medium enterprises (SMEs) currently serve as the backbone of domestic economy. Indonesia aims to net US$470 million of tourism package transactions in the world’s leading travel fair event of Internationale Tourismus Borse (ITB) in Messe Berlin, Germany on March 8-12, China’s Xinhua news agency reported. This month, seven Indonesian fashion designers will present their latest collections at four international fashion weeks. Dozens of vendors at Lenggang Jakarta food court in Kemayoran, Central Jakarta, could lose their stalls as the city administration is set to lease them to other parties who are more interested in opening businesses there, an official has said. A total of 33 Omani businessmen attended the Indonesia-Oman Business Forum here on Wednesday and met 50 Indonesian businesspersons to explore investment opportunities in the country. Chances are big that the banking sector of Indonesia will see the non performing loan (NPL) ratio rise up to the range of 3.0 – 3.5 percent in 2017. Anton Gunawan, Chief Economist at state-controlled Bank Mandiri, says the rising NPL ratio is not so much caused by the lower quality of credit in Indonesia’s banking system. The bigger problem is rising “special mention” loans, a loan grade that refers to assets that pose potential weaknesses that require close attention. It is wet season in Bali, Indonesia, a popular tourist destination for Australian, Russian, German, Chinese and Japanese visitors. Singapore and Indonesia are sharing experiences in tackling cyber threats, said Deputy Prime Minister Teo Chee Hean on Wednesday (March 8). International relations expert Yanyan M Yani said Tuesday that Indonesia needed to strengthen its cross-sector international cooperation as part of the effort to fight terrorism. Graft defendant and former Banten governor Ratu Atut Chosiyah has been indicted for allegedly inflicting Rp 79.79 billion (US$5.95 million) in state losses by allegedly abusing her authority as governor to enrich herself and other parties. As one of Asia’s fastest-growing economies and the most populous Muslim nation in the world, Indonesia is billing itself as a natural home for Middle Eastern investment at a time when the U.S. is turning inward. President Joko “Jokowi” Widodo urged South Africa to reduce trade barriers for Indonesian exports to the country, in a bilateral meeting with visiting South African President Jacob Zuma on Wednesday. Bali, a Hindu majority resort island in Indonesia, has refused to cover half-naked statues located in different parts of the island during a visit by King Salman bin Abdulaziz Al Saud of Saudi Arabia. While the statues in the Indonesian capital and adjoining regions were covered as a mark of respect to the King of the Wahhabi kingdom, those in Bali were not. An Indonesian court has jailed three leaders of a group that Islamic clerics had called a deviant religious organisation for up to five years for blasphemy, sparking condemnation from human rights groups over the targeting of minorities. Jackie Chan and Jet Li have been invited to participate in Pamanca the Movie, an upcoming film by local production house Rafindo Galesong. The owners of two manufacturing plants in a Vientiane industrial park that were ordered to temporarily suspend their operations amid fears over environmental impacts are still waiting for a final answer on their case from the government. The PM welcomed the minister’s proposals, noting that the Vietnam-Laos Intergovernmental Committee had reached a consensus on those issues at its 39th meeting. Luang Namtha provincial authorities are hoping an increase in the world price of rubber will boost exports to China and local farmers’ incomes. UN officials gathered yesterday in Hà Nội to discuss initiatives on trade facilitation for landlocked developing countries (LLDCs) in an effort to realise the UN’s development motto of leaving no one behind. Authorities in Xieng Khuang province are developing the historical site at Phou Kout Mountain as a tourist attraction in the province aside from the well-known Plain of Jars. Xayaboury and Phayao provinces have agreed to enhance border cooperation, aiming at upgrading some new crossing points and preventing activities that threaten border security between the two countries. CHF 128,687 was allocated from the IFRC’s DREF to respond to the humanitarian needs of households affected the floods. In all, the operation utilized CHF 125,483 or 97.5 per cent of the allocation. The wood processing business State Attapeu Import-Export Company claims that it has been focusing on translating into reality the Prime Minister’s Order No. 15 on Enhancing Strictness on the Management and Inspection of Timber Exploitation, Timber Movements and Timber Businesses. Hundreds of alumni from US-Lao exchange programmes gathered recently in Vientiane to share memories and connect with their fellow exchange programme participants. Seoul National University’s Lao Foundation says it will continue providing scholarships to outstanding students enrolled in the Faculty of Dentistry at the University of Health Sciences in Vientiane. Construction is a big contributor to carbon emissions that cause global warming, particularly through excessive use of materials such as cement. Malaysia has warned that an investigation into the murder of the North Korean leader’s half brother “may take longer than what we hope,” as Pyongyang ally China said on Wednesday that no international action should be considered until it is finished. Malaysia has reported an outbreak of a highly contagious H5N1 bird flu virus in the northern part of the country, the World Organisation for Animal Health (OIE) said on Wednesday, citing a report from the Malaysian agriculture ministry. The ringgit is expected to see a moderate recovery in the second half of this year against the US dollar following the improvement of the local economy. All 11 Malay­­sians in North Korea are now within the diplomatic compound of the Malaysian embassy and are all safe. Iskandar Waterfront Holdings Sdn Bhd (IWH) has proposed to buy the remaining 61.7 per cent stake in IWC it does not already own. MALAYSIA is an attractive investment destination for multinational companies (MNCs) because of its cost of running businesses, local talent and diversity, said General Electric (GE) general manager of Asia Pacific Global Operations, Yuichiro Yamaguchi. Malaysia headquartered video streaming service iflix is open to raising additional capital “if someone very strategic would be interested”, iflix co-founder and Catcha Group’s Patrick Grove has told this portal, a day after the company announced it had raised $90 million in a funding round by telecom firm Liberty Global Plc and Kuwaiti telecom operator Zain and other investors. Iskandar Waterfront Holdings Sdn Bhd, controlled by Malaysian property tycoon Lim Kang Hoo, has offered to buy Iskandar Waterfront City Berhad (IWC) in a “back door” listing of one of the country’s biggest property firms. The final report on the international investigation into the vanishing of Malaysia Airlines flight MH370 exactly three years ago on Wednesday (Mar 8) will be issued on Jan 17 next year. Singapore Deputy Prime Minister Teo Chee Hean on Wednesday (Mar 8) said differences of views between Malaysia and North Korea should be discussed and resolved without resorting to extreme measures. The Unites States has expressed support for Malaysia in the ongoing diplomatic row with North Korea, branding the latter’s actions as “reprehensible”. The jumbo-jet, which disappeared three years ago today, is believed to have gone down with all 239 passengers and crew. However, an investigator searching for wreckage has said there was another previously unknown person on the flight. GLOBAL palm oil production is expected to climb 11 per cent to 65 million tonnes this year as the near-perfect weather boosts yields. Leading subscription Video on Demand (SVoD) service provider, iflix, has secured US$90 million to support its international expansion. AlloyMtd Group has submitted a bid to build a new administrative centre for the Philippines Government at an estimated project development cost of RM11bil. Maybank Ageas Holdings Bhd, the parent company of Etiqa Insurance Bhd, Etiqa Takaful Bhd and Etiqa Insurance Pte Ltd, made a record pre-tax profit of RM810.3mil for the financial year ended Dec 31, 2016, a 34% increase from the RM604.4mil achieved in the previous corresponding year. This was the chilling indictment of Myanmar presented to the United Nations Human Rights Council in Geneva by UN High Commissioner for Human Rights (UNHCHR), Zeid Ra’ad al-Hussein while presenting his annual report yesterday, March 8, 2016. The severity of the reported violations against the Rohingya in Myanmar warrants the attention of the International Criminal Court, the United Nations High Commissioner for Human Rights said on Wednesday (Mar 8). Myanmar is embarking on the first comprehensive audit of state-owned banks in decades, part of a push to modernise the financial system and tackle risks to the nation’s rapid economic growth. Yangon regional government plans to spend about Ks 32 billion developing 12 Townships on the outskirts of the city’s municipal area, the Yangon Chief Minister has said. Officials from the Ministry of Electricity and Energy have said that there are long-term and short-term projects planned in order to meet growing electricity demand in the country. China has offered to restore and renovate the Thatbyinnyu Pagoda which was one of the few pagodas in Bagan damaged by an earthquake in August last year, Department of Archaeology, National Museum and Library (Bagan branch) director U Aung Kyaw Kyaw said yesterday. Cross-border trade with Thailand exceeded US$1.13 billion this financial year until February 17, according to the Ministry of Commerce. KBZ Bank has hooked up 200 of its branches to sat­ellite technology to speed up transactions and help the company with its e-commerce push. THOUGH MYANMAR’S fishery export income took a dive for three straight years until 2015, industry players hold high hopes to rebound, given the slight increase last year and the potential continuation of growth this fiscal year ending on March 31. After just days of a surge in heavy fighting between ethnic rebels and police and military personnel, a curfew has been implemented in the town of Laukkai and its neighboring areas in northeastern Shan state’s Kokang region. The Myanmar Automated Cargo Clearance System (MACCS) meeting was held at the Union of Myanmar Chamber of Commerce and Industry (UMFCCI) on March 7, is planned launch later this month according to Win Thant, the Director of Customs Department. More than a quarter of the people living in Asia had to pay a bribe while trying to access a public service in the past year, according to Transparency International report released on Tuesday that also called on governments to root out endemic graft in the region. Businesses in Mandalay that are selling food containing banned food dye now risk having their shops shut down by the authorities, which have launched an operation to ensure food safety. Without an amicable settlement in sight, Kan Kaung Chin Yadanar factory workers have vowed to continue their sit-in protest at the factory entrance in Bal Lin village of Mandalay’s Singaing township. K200 lottery tickets will no longer be on sale from June 1, according to the Lottery Division of Internal Revenue Department. Initiatives for women will be carried out in Myanmar’s four states, said Union Minister for Social Welfare, Relief and Resettlement Dr Win Myat Aye at the celebration of the Women and Girls First Initiative in Nay Pyi Taw yesterday. Myanmar is sandwiched between two very large neighbours – China and India. Relations with China are not currently cordial, especially among the Myanmar people, who retain memories of numerous undue political and economic interactions and incidents. A 22-year-old woman was tragically killed on the tracks near the Hledan Railway Station due to her headphones blocking out the noise of an oncoming train. The accident took place around 7 am yesterday morning, and involved a train that was heading towards Insein Station via the Yangon Circular Railway. The panel of judges of the inaugural Permanent People’s Tribunal (PPT) on Myanmar is convinced that charges of serious crime on the Rohingya and Kachin group demand adjudication by the court, based on evidence presented at the opening session on March 6 and 7 in London. The ‘border haats’ between India and Myanmar are functioning “very well” and the government is looking at opening more such facilities on borders, Central Board of Excise and Customs (CBEC) Chairman Najib Shah said today. Philippine Foreign Secretary Perfecto Yasay was sacked on Wednesday after lawmakers ruled he lied to them over his American citizenship, ending an eight-month stint that ironically featured outbursts against the United States. FINANCIAL REGULATORS are batting again for the repeal of the bank secrecy law to deter investment scams and corruption, among others, and to make the country more attractive to foreign investors besides. Defense and security officials plan to push for a multinational task force to end cross-border kidnappings by the Abu Sayyaf group. Speaker Pantaleon Alvarez on Wednesday warned that Congress will use its power to impeach officials who would issue temporary restraining orders (TRO) on government projects. China has committed to significantly boost its imports from the Philippines as it seeks to buy $1 billion worth of local agriculture products following a recent meeting between the trade ministers of the two countries. The government and the private sector inked an agreement to put up the first-ever rubber manufacturing plant in the country. The Department of Finance (DoF) is confident the government’s revenue-generating agencies will reach their collection targets this year, citing their performance in 2016 and the ongoing reforms to improve efficiency. The International Trade and Industry Ministry (Miti) has urged Malaysian corporations to explore new business avenues and collaborations with partners in the Philippines, a country currently undergoing rapid growth transformation. Filipinos are fearful they may soon have to say goodbye to the iconic jeepneys millions of commuters ride every day. PRESIDENT Rodrigo R. Duterte on Wednesday appointed another San Beda Law alumnus to the Supreme Court (SC), as it welcomed Court of Appeals Associate Justice Noel G. Tijam to their bench. Makati residents whose houses sit on top of the West Valley Fault have two choices, according to the city government: They can either evacuate or stay at their own risk. THE Justice department has not arrested Mighty Corp. owner Alex Wongchuking for alleged tax evasion as ordered by President Rodrigo Duterte because no case has been filed against him, Justice Secretary Vitaliano Aguirre II said Wednesday. There is indeed no stopping Singapore’s Smart Nation push. Just recently, the Land Transport Authority and Mastercard announced the pilot of Account-Based Ticketing system for public transport, allowing the usage of contactless credit and debit cards for fare payments. With rail reliability still not hitting the mark, measures are in the pipeline to improve the system and prevent breakdowns, including tapping on big data and sensors to pre-empt faults and commuter congestion. The Monetary Authority of Singapore (MAS) and the Abu Dhabi Global Market (ADGM) announced today that they’ve agreed to cooperate on projects designed to encourage the growth of fintech in both Singapore and Abu Dhabi. SINGAPORE’S financial services sector is likely to remain a top target for cybercriminals in 2017 due to the sensitive nature and value of financial data that the industry holds, according to cybersecurity firm Fortinet. Amidst a global climate of increasing calls for protectionism, Singapore and the European Union affirmed their commitment to the free trade agreement between the two parties on Wednesday (March 8). Less than three weeks after voicing disappointment with Budget 2017 for the “inadequate” short-term support for companies, the Singapore Business Federation (SBF) yesterday was keen to move on from its remarks: Its chief executive told TODAY that businesses here have “expressed comfort” in the government measures, and called for a mindset shift in the community. Singapore’s new Defence Cyber Organisation (DCO), which aims to strengthen the nation’s ability to deter current and anticipated threats in cyberspace, seems to have come not a moment too soon. SINGAPORE businesses and the government are cognizant of disruption, according to Minister of State Janil Puthucheary. But what is more important is how they execute their response to the phenomenon, and this will determine Singapore’s success in tackling disruption. Sun meets sea at the Tanah Merah Ferry Terminal whose operator, Singapore Cruise Centre, has signed an agreement to power the terminal with solar energy. Singapore is easing the rules on its EntrePass scheme for foreign entrepreneurs and will boost financing schemes for technology sector startups, to position itself as an attractive location for new businesses. Bangladesh’ Water Resources Minister Anisul Islam Mahmud told reporters on Sunday (5 March) that a discussion in underway with a Singaporean company, on the dredging of its rivers in exchange for the excavated sand. With the aim of helping Singapore farmers raise their production levels, Singapore has laid out the Farm Transformation Map which identifies four key areas for development. The city-state has begun announcing new measures to strengthen its cyber capabilities. Taxpayers have been increasingly subsidising the higher operating costs of the public transport network, a situation that is not sustainable going forward, Transport Minister Khaw Boon Wan said on Wednesday (March 8) as he asked commuters to be “understanding” when fares have to go up. The government’s ambitious plan to make Thailand a fully fledged aviation hub in the Asia Pacific has received a boost following a cooperation agreement inked Wednesday by national flag carrier Thai Airways International (THAI) and Airbus. Thailand’s government is kickstarting its digital skills training, partnering with two local institutes to groom its civil service. The government has pledged to complete its digital transformation journey by 2021 as part of the state’s efforts to reform Thailand’s economy and society into Thailand 4.0. The future is looking dire for Bangkok as the city continues to sink and sea levels continue to rise. Global passenger traffic got off to a robust start this year with demand in January showing the strongest increase in more than five years. Export-Import Bank of Thailand (Exim Thailand) is opening a representative office in Yangon by April. BANGKOK Airways has announced a partnership with Booking.com to connect travellers with a wide selection of places to stay through the airline’s website. Energy policymakers will revise the national power development plan (PDP 2015-36) in order to generate sufficient power for the country if plans to develop the two coal-fired power plants in the southern region. We are delighted to host our 6th annual event for the wealth management community in Thailand. SENIOR officials from Asean aviation and dialogue partners are in Vientiane this week attending the 35th Asean Air Transport Working Group (ATWG) meeting and its related meetings. A wheelchair basketball development camp for women will be held 16-21 April in Chon Buri, Thailand, the International Wheelchair Basketball Federation (IWBF) Asia-Oceania Zone (AOZ) has announced. At a reception for the group’s Chairman Sakchai Tanaboonchai in Hanoi on March 8, the NA Vice Chairman took note of the sound cooperation between Vietnamese and Thai legislative bodies, particularly at key forums, such as the Inter-Parliamentary Union and the ASEAN Inter-Parliamentary Assembly. FINANCE MINISTER Apisak Tantivorawong may find himself in trouble if he fails to recover taxes from the family of former premier Thaksin Shinawatra, the chairman of the State Audit Commission Chaisit Trachoetham told The Nation yesterday. A SURVEY has revealed shocking findings – about 2 per cent of female public-transport passengers have been sexually assaulted or raped. A section of the Green Line rail route, linking Soi Bearing and Samrong stations, due to be launched on April 1, risks delay as authorities struggle over budgetary issues. A Royal Command was announced on Wednesday stripping Phra Ratchapawanajarn or Phra Thattachivo, deputy abbot of Wat Dhammakaya, of his title effective as of March 7. Vietnam has ranked second in the Pioneering Locations Index within Cushman & Wakefield’s latest global Manufacturing Risk Index report, behind Costa Rica. The ranking shows that global manufacturers hold Vietnam in high regard in terms of potential. Many huge cranes can be seen at Samsung Display’s production facilities for modules that are located in Bac Ninh as Samsung Display is building facilities for modules in order to respond to number of demands for OLED displays that are rapidly increasing. Members of the Vietnam Automobile Manufacturers’ Association (VAMA) sold more than 17,600 cars in February, down 13 per cent from the previous month. Business activity in Southeast Asia picked up overall in February, but manufacturers’ outlook for future output was less rosy, the latest Nikkei Purchasing Managers’ Index shows. The Industrial Zone Management Board of southern Đồng Nai Province has revoked investment permits granted to 40 FDI projects that have been abandoned or delayed for a long time. The Airport Corporation of Việt Nam (ACV), the largest enterprise in the domestic transport sector, has proposed an investment plan of VNĐ31 trillion (US$1.36 million) for the period between 2016 and 2020. Investors need to look beyond first-tier cities and at new types of assets to make profits, including emerging markets such as Viet Nam, as the Asian property market slows. Opportunity Network, a UK-based FinTech company that offers banks a digital business matchmaking platform, on Wednesday announced plans to engage Vietnamese commercial banks in joining its fast-growing global partner network. PetroVietnam Oil Corp., Vietnam’s sole crude exporter, said it’s in talks to sell as much as 40 percent to strategic investors and expects to narrow down to a list of about five potential bidders for the government this month. The Soviet Union had Chernobyl. The U.S. had Rachel Carson’s “Silent Spring.” And Vietnam now has Formosa, a term quickly becoming synonymous with ecological tragedy and the birth of an environmental movement. Việt Nam has the highest proportion of female CEOs in the Asia Pacific region at some 25 per cent, much higher than the world average of 10 per cent. The criteria for this list are financial or positive influence and frequency of appearance in social media. Below is the list of the 20 most influential Vietnamese businesswomen and their business achievements. He suggested Vietnam pay further attention to fiscal renovation, including tax reform, spending re-orientation as well as prudence in borrowing and collecting non-tax revenues. Ngo Viet Khoi, a respected network security expert, said that computer and internet users lack knowledge to protect themselves from cyberattacks. Local authorities must be held accountable to the Government if they allow rampant crime in their jurisdictions, Deputy Prime Minister Trương Hòa Bình said yesterday. As with most countries in the Asia-Pacific littoral, Vietnam is steadily bolstering its military against an increasingly confrontational China. The wood processing sector will have more room for development as Vietnam participates in more free trade agreements, according to the Handicraft and Wood Industry Association of HCM City (HAWA). Entobel is aiming to achieve 100,000 tons a year of insect meal production by 2025.